After having had a busy autumn tidying and preparing all the gardens for winter most the staff and volunteers took a lovely long break for the Christmas festive period. Now we are back winter has properly set in, a bit of snow and plenty of frost have put the gardens to rest. 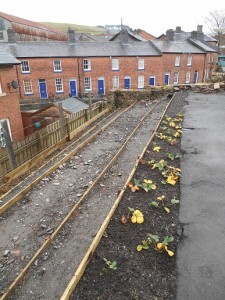 Llanidloes community food garden is all tidy and quiet with not many visitors now, so our Monday morning volunteer session has moved to the community wildlife garden next door. We are busy tidying the garden and this allows us to take cuttings and divide plants which are given to Seri on our nursery in Newtown to propagate and make us many more plants. In a couple of weeks we will be moving on to work on the back of Great Oak community shop where we have a plant sales area. We are going to give this yard a bit of a face lift so that we can expand the range of plants that we are able to hold at the shop. 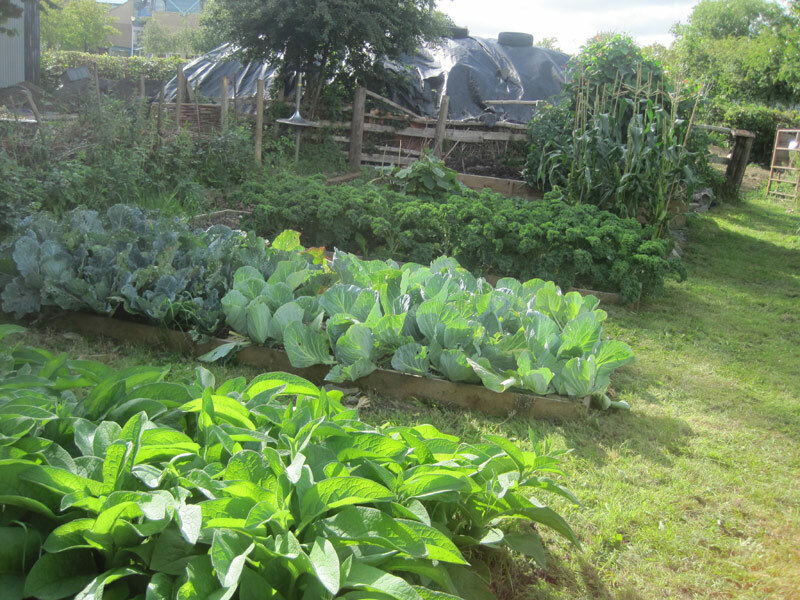 Newtown garden is looking good with crops still being harvested for the veg boxes and Tuesday market. 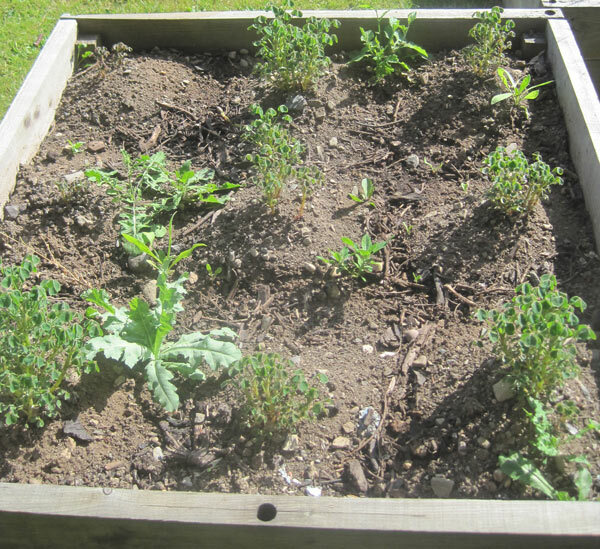 Our winter project is to transform the front garden in to a sensory herb garden, with a selection of herbs for the kitchen and teas. 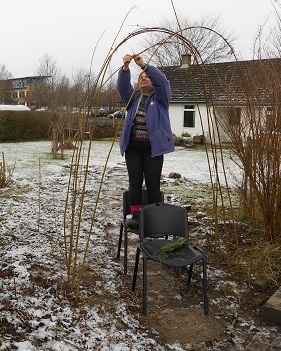 We had a lovely frosty snowy time last week, too frozen to do anything in the soil, so regular volunteer Sasha and I set about weaving a willow arch to give an entrance to the new paving stepping stones leading to the front door. Regular volunteer day continues each week on Tuesdays 10- 4pm, with lunch at 1pm cooked by our chefs Chris and Alistair. Seri has been busy on the Nursery potting on hardwood cuttings from last year, using all the compost as fast as we can make it. We stock a wide range of plants now, all grown on site. We are specialising in edible plants, alongside ornamentals for bio-diversity and native windflowers. The plant for the season has to be the dwarf daffodils and irises which are just coming up and will be in flower soon, Seri has arranged some in baskets with a bit of ivy which will make a lovely gift. The food hub still has plenty of locally harvested food available, with veg boxes being topped up with organic produce from the wholesalers. 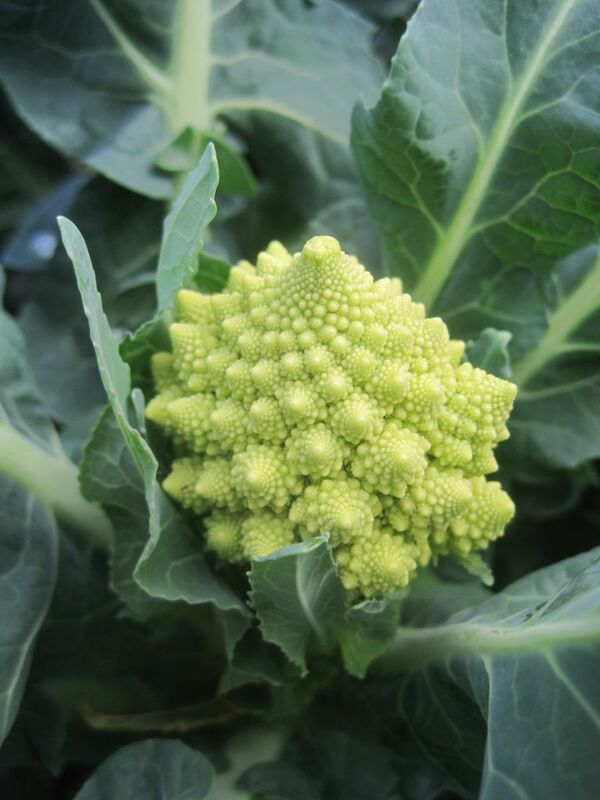 The on-line shop is now up and running for ‘click and collect’, a wide range of staples are available to go with your veg and fruit order. If you haven’t tried it yet just click here it is very easy to use. 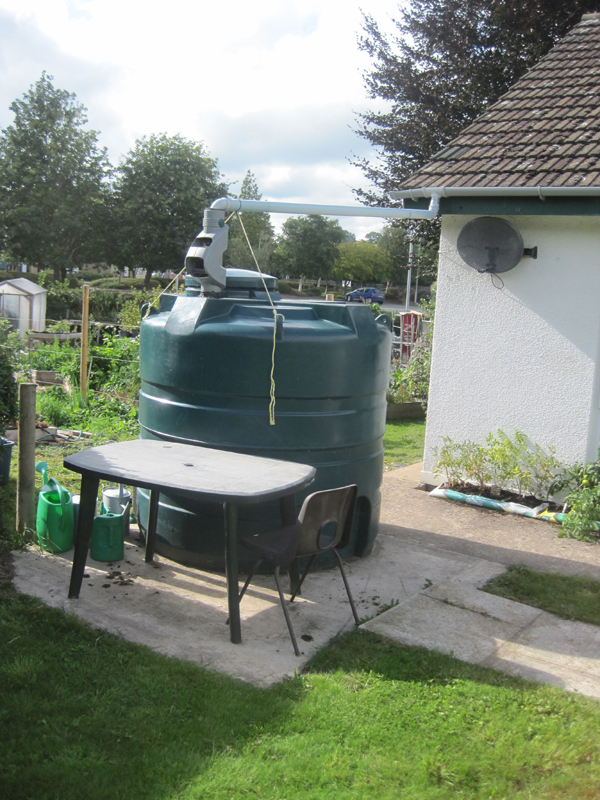 The lottery funded ‘Get Growing’ project that we have been working on for nearly three years is coming to an end. 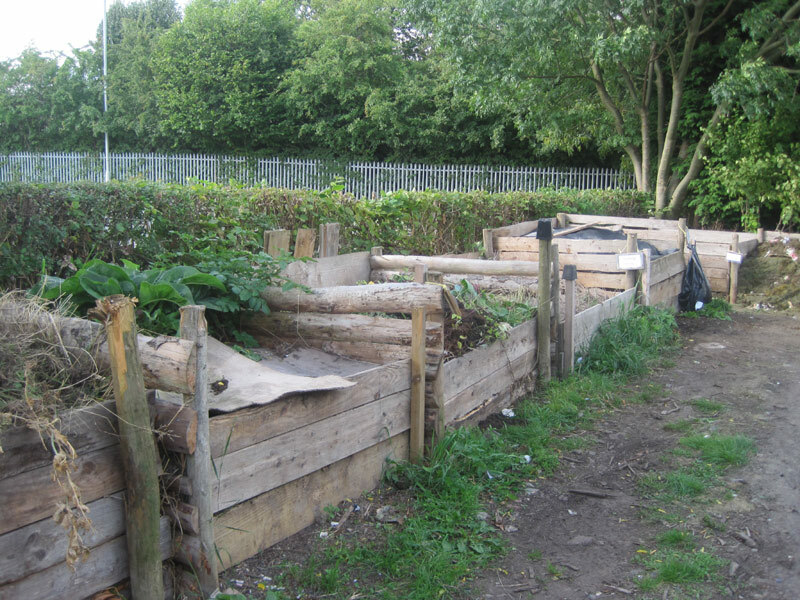 We have worked with many schools, we have established three community market gardens, helped with many others and linked people with local food. It is sad to see the end of the project, but out of this project has grown Cultivate co-op. 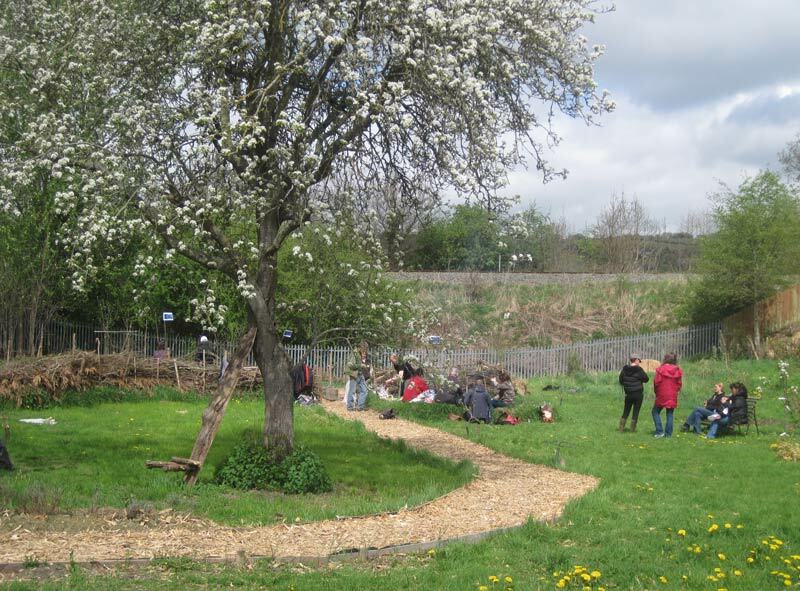 The site at Newtown will remain our main hub and the other community gardens will come under the management of local volunteers and the community that use them. The Get Growing team want to thank all supporters, volunteers and customers by having a Get Growing celebration on Tuesday 3rd February. 3 – 6pm. Hope you can come. With the end of one project new opportunities arise. 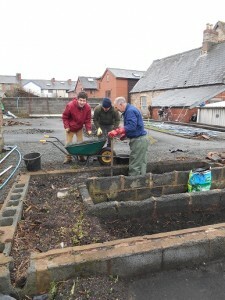 Cultivate is expanding and last week we went to visit Cultivate’s new site in North Wales ‘Moelyci’ . 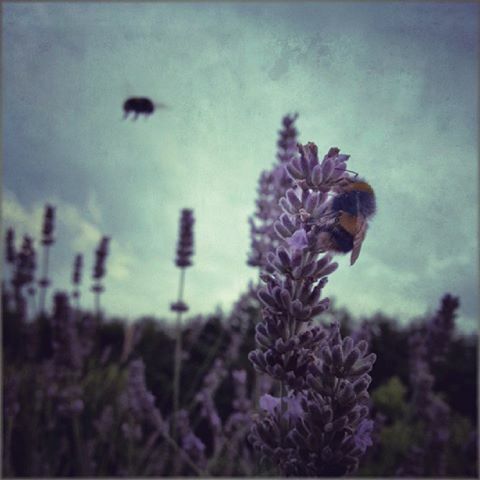 We are developing an eight acre market garden, shop and cafe as part of the 350 acre Moelyci Farm that Cwm Harry are taking on as an environmental, education,enterprise centre. The site already has two large multi span polytunnels and a veg packing shed/ shop. We will be expanding this to field scale crops and a one stop shop/ cafe with regular opening times. 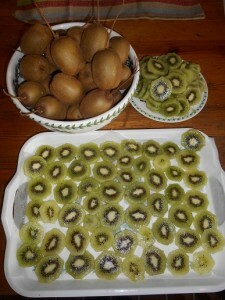 We came back with some lovely Welsh grown kiwi’s from a neighbouring farm, they are delicious and just ready to eat. This Get Growing web site is now coming to an end, future blog update will be on our new Cultivate web site. You can also follow us on Facebook and twitter. Happy New year to you all………..
Join us to Celebrate Get Growing and new beginnings. Get Growing celebration on Tuesday 3rd February. 3 – 6pm. Seed pots with a coir and perlite mix with biochar added at three different concentrations. No plants nutrients have been added yet, so at this stage this is purely a germination test. B3 = We used the same I mix as above but extended the mix with more coir and perlite to make 18 pots in total. 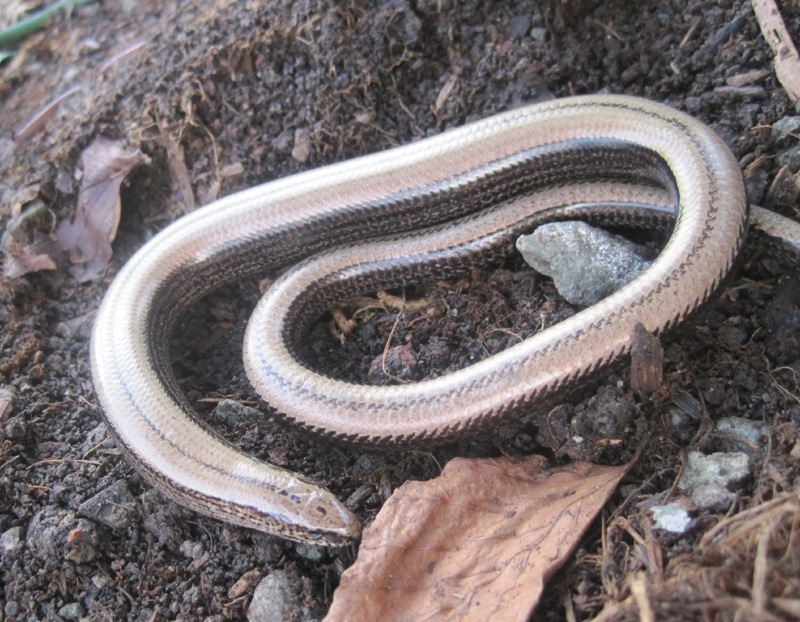 Also topped with a this layer of vermiculite. All the pots have been placed outside and will be treated exactly the same. We are specifically interested in germination success and rare, plant development and plant health. We will add a liquid feed to all the pots when they develop their first true leaf. This will be a nettle and comfrey ‘tea’ mix. The other test is a straight growing test in 2 identical raised beds, one with the addition of 1.2 Kg of biochar, both have 1 wheel barrow of Cwm Harry compost added. They have been been planted with 9 Oca plants, at equal spacing. Oca may not be the best choice of plant to get a clear result, but i chose it as it yields a tuber which is therefore very easy to measure and compare. Doing some simple growing tests has also taught me that growing test are difficult to do accurately, as there are so potential variables to eliminate. 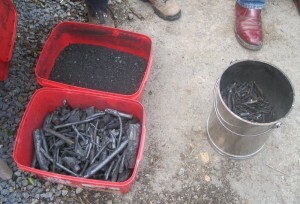 It is similar to but different from charcoal… made from biomass that has been pyrolyzed within a specific temperature range and set of conditions. The resulting char is pure carbon with all the potentially poisonous volatile substances driven off and combusted and has a gigantic internal surface area. A teaspoon of the material can have a potential internal surface area of 2 acres… creating a perfect habitat for soil microbes.. Together with two friends, local stock farmers we have been developing our techniques for producing the substance. It has remarkable potential in that not only does it increase soil structure, stability and fertility it also helps sequestrate atmospheric carbon into the soil in a very stable form. 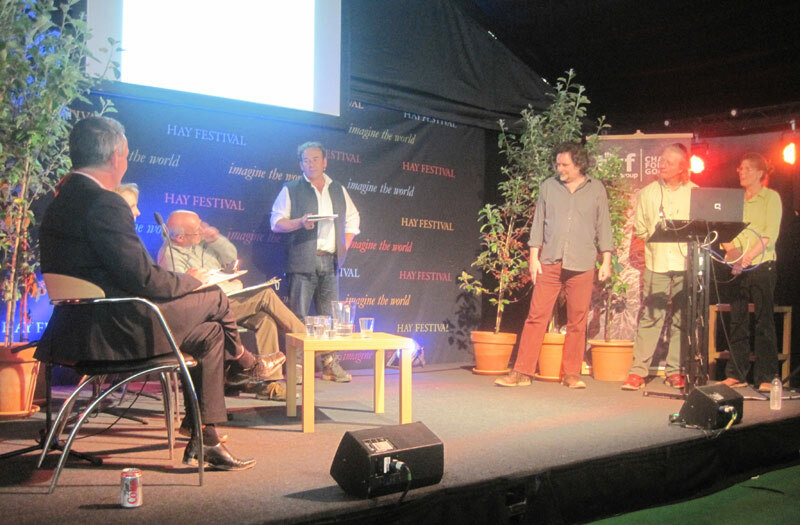 Last month we were invited to the Hay festival to present our ideas at their ‘Green Dragon’s Den’ forum, sponsored by Unlimited. We had a simple three minute pitch opportunity to impress the competition judges and a keen audience.. an extremely challenging experience! We were one of the runners up and have been listed to receive at least some of the funding we hoped to win. 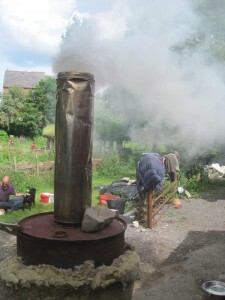 Next up we will be going to the British Biochar Foundation conference in Oxford where we will be having our product and burner scientifically tested as part of a demonstration and competition they are running. We will be trading in future under the name of Garden Planet Biochar. 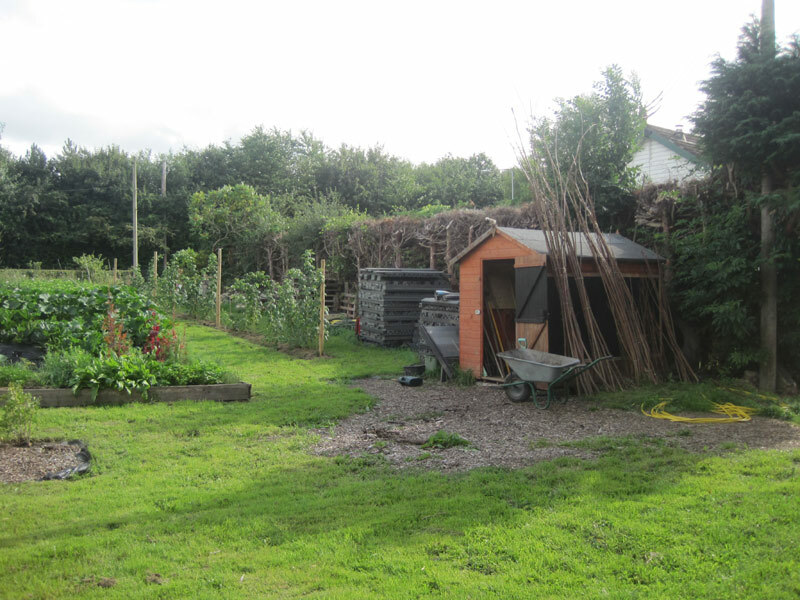 We hope to be able to sell our product from Pen Dinas in Newtown as perfect complement to the riased beds and plant nursery.. we want to be able to offer a complete growing opportunity for people that keeps us all at the cutting edge in organic growing. Food security, relocalised food production and low carbon methods of production seem essential strategies for development and often simple practical solutions such as these are overlooked in favour of high tech and high investment options. Why do we foul our own water supply? There is not enough fresh water in the World for everyone to do what we do.. it is expensive, unsustainable and a waste of a potentially valuable resource. The answer? Compost it! Its clean hygienic and cheap and opens up a world of new possibilities. This is a really important and often overlooked technology that we should all embrace! 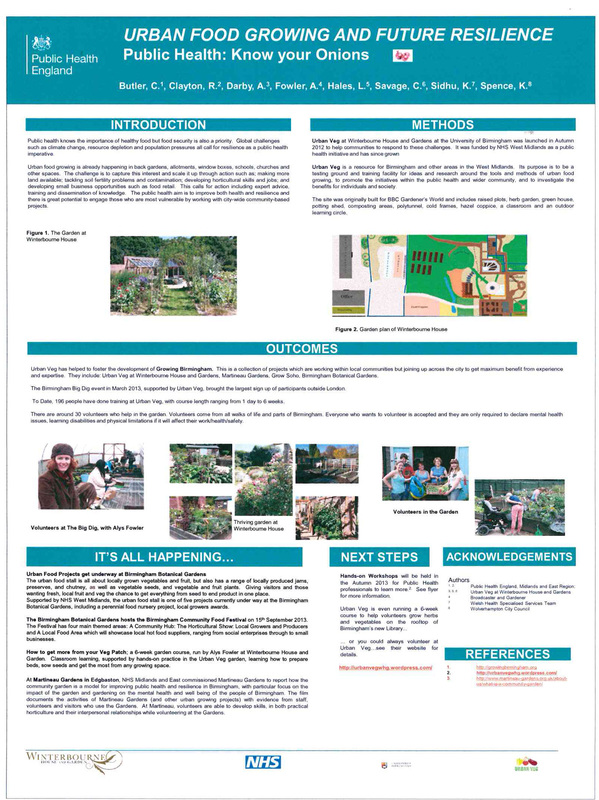 A must for community growers and allotment holders. Learn about different techniques and compost toilet designs and find out what is suitable for different sites and situations. 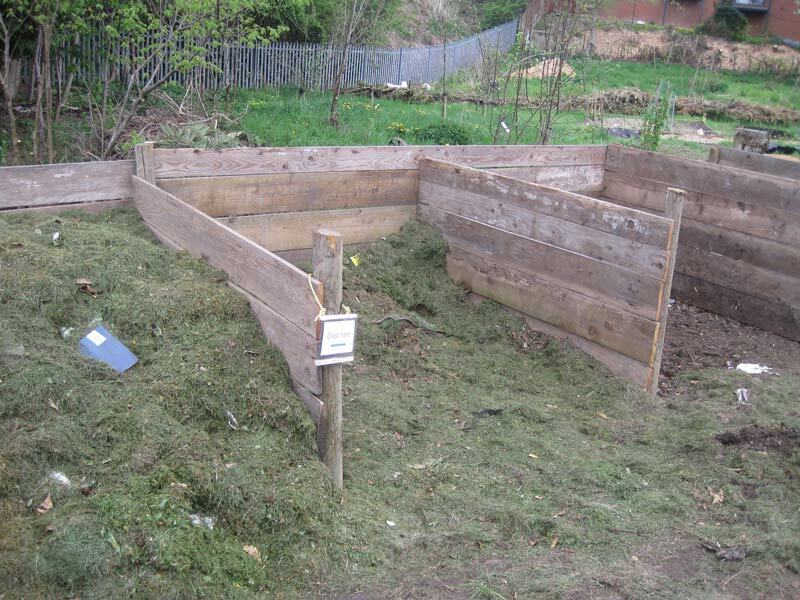 The workshop will include a hands-on construction of a simple humanure compost toilet for use in the community garden. 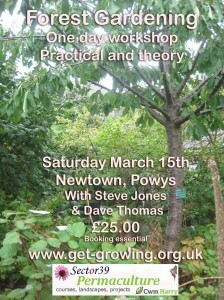 Led by Steve Jones, permaculture teacher and compost enthusiast. 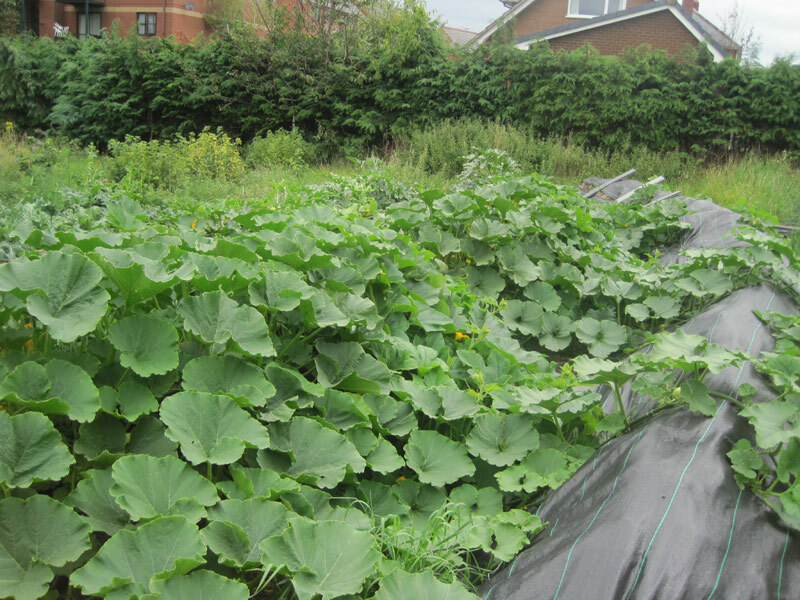 The course costs £30, which includes refreshments – some concession available for community growers. Farmers in mid-Wales have the opportunity to learn new expertise and gain practical experience at a farm-scale composting course next month. The farmer-led course will take place on 1st March at Treflach Farm, Oswestry and is being organised by Welsh land trust Cwm Harry. The one day composting masterclass will draw on the work of Richard Northridge, lead researcher and technician of the food waste compost project. Organisers said the masterclass aims to capitalise on growing environmental awareness and a collective realisation amongst businesses and society as a whole that we need to reconsider the concept of ‘waste’. For farmers, much of what may be considered waste is in fact a great potential resource, which could be used to create stable organic compounds to nourish soil microbes and improve soil health, according to Cwm Harry. Healthier soils can hold and store water and nutrients much better and, against a background of rising fertiliser costs and increasing awareness around issues of sustainability from consumers and business owners alike, better soil management could even be the key to improving efficiency and protecting the bottom line of farm businesses. The UK, like much of Western Europe, is losing healthy soil at an alarming rate. Environmentally conscious farmers and soil scientists have made numerous appeals to raise awareness of the importance of soil, which is key to building a resilient agriculture. Soil degradation is also a major contributor to atmospheric pollution. The last study of the UK’s soil resources, conducted in 2009, revealed the country is losing an estimated two million tonnes of topsoil each year. As soil is a non-renewable resource, experts have urged policy makers and farmers alike to do everything in their power to protect their soils. Conserving and augmenting soil health also makes business sense. Ian Steele, who farms at Treflach, has committed himself to finding practical solutions to reducing both farm costs and waste. Working with Cwm Harry, Steele is exploring organic and permaculture principles on his family farm. Steele, a dynamic former hill farmer, has diversified his business away from sheep, with the inclusion of pigs, vegetable production and an agro-forest. 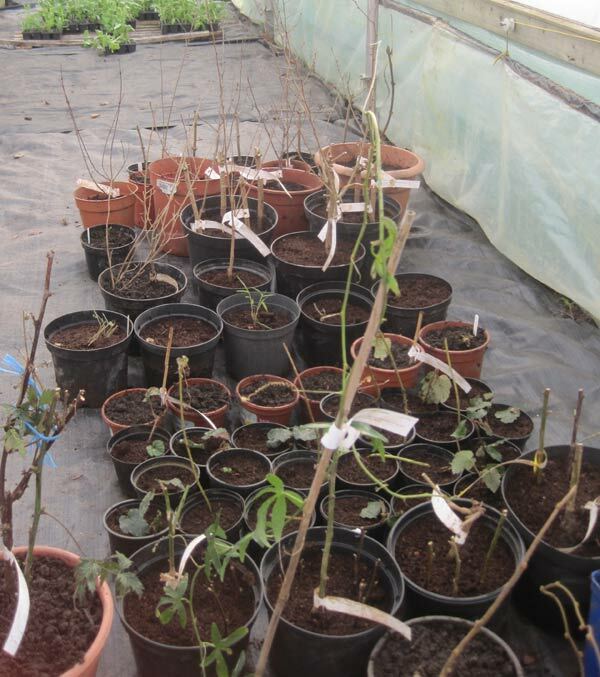 Growing perennial plants like fruit trees and bushes although it demands thought and input at the point of establishment in general require much less on going maintenance than vegetable growing. So especially for growing projects in environments like schools, community spaces and the like forest gardens, that is mixes of trees, fruiting shrubs, herbs and vines have a very useful role to play. The idea of the temperate forest garden was developed by pioneer Robert Hart, who had seen similar systems in Southern India where shade trees of coconuts, mango, tamarind and more were grown in amongst annual crops of rice an vegetables. In northerly latitudes such as here we are required to space plants much further apart as we have much lower light levels, but the principle still works well and it enables another layer of production to be stacked into growing systems, boosting productivity and biodiversity. 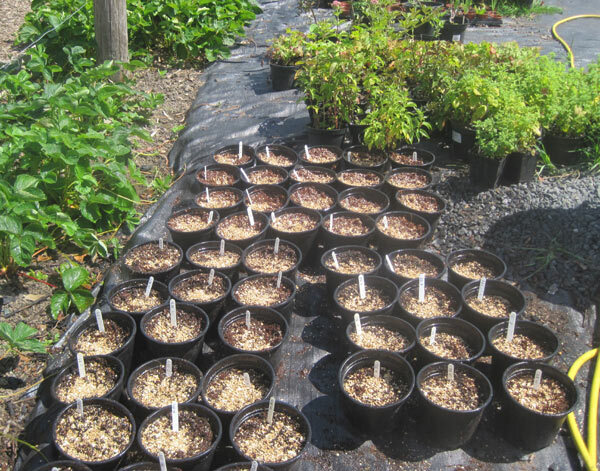 Meanwhile, Emma and Seri on the Cultivate project here at Pen Dinas have been busy buying in plants to propagate which will be for our forest garden nursery, currently in development. There are a great many plants that suit the brief for forest gardens, however they are not always easy to get hold of.. so we are keen to develop our own supply. 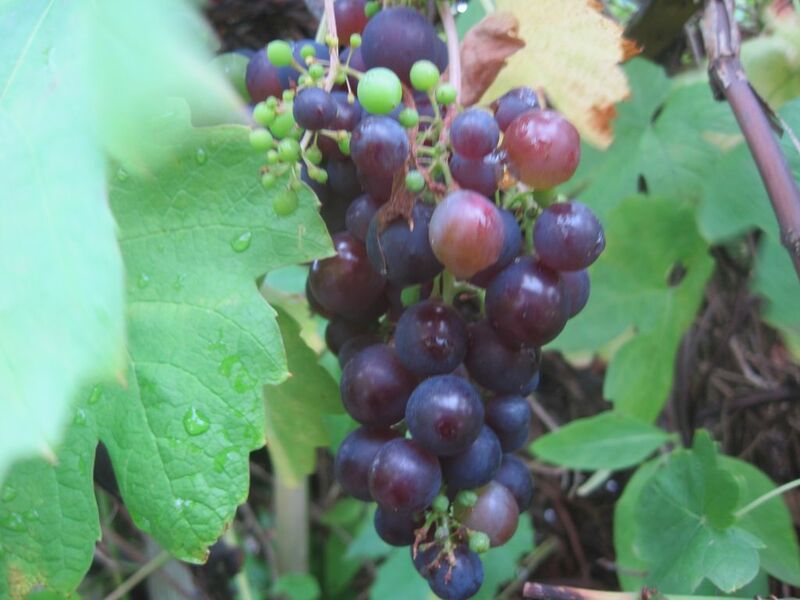 Lots of nurseries offer the top fruit but very few offer the under-story shrubs, bushes and herbaceous plants. A great source to find out about these is the Plants for a Future database. The plants we bought in came from the Agro Forestry Research Trust, and nursery managed and owned by forest garden pioneer Martin Crawford. 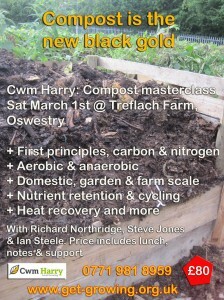 One day compost course, a new offering from the Cwm Harry Skills department. Compost – the new black gold. Energy from waste is a buzz word in the world of sustainability and the best way to process waste is to turn it into compost. Nitrogen in manure and food waste quickly breaks down into ammonia and becomes a greenhouse gas, whereas once composted and incorporated into long chain complex organic molecules it becomes stable and much less mobile. Of course the composting process itelf generates a lot of heat and compost pioneer Jean Pain calculated via his experiments that composting can easily generate 10% more heat than combusting the same material, whilst of course leaving a useful residue in the form of compost that can be incorporated into soil to boost fertility, water and nutrient retention. 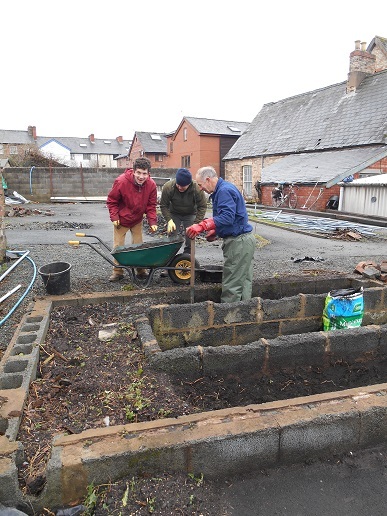 The Get Growing project in Llanidloes, in association with the Scout Explorer group has just been awarded £1000 for a sunken seating area and a cob oven. This youth led grant from PAVO will give young people of the town somewhere to meet up with there friends. We will be running a series of workshops to teach young people new skills in construction. This picture shows the area to be developed- it was a sunken green house base filled with soil. Brian, Dave, David and myself- Emma have been emptying it over the last couple of weeks. This is the best soil we have on site, so we have used it to top up the strawberry beds and prepare the beds for the espalier apples. The apple trees are being delivered this week and we will be planting them on Friday morning along with more strawberries. Once we have the soil all removed from the new seating area we will be arranging some volunteer weekend dates towards the end of January for youths to get involved and learn some new practical skills in construction. Then during February half term we will be running a weekend workshop to build the clay pizza oven. Please get in touch if you know anyone who would like to get involved. 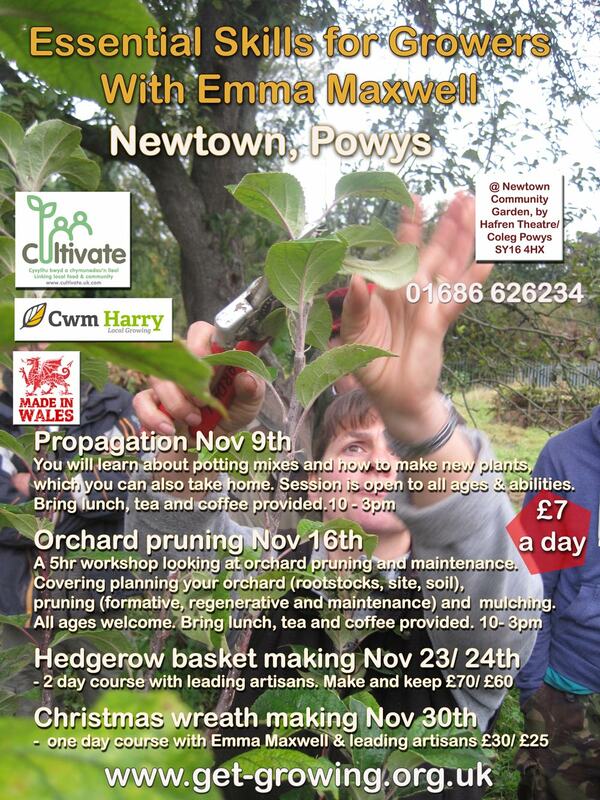 Plenty of activities planned for November in the Newtown community garden. There is now list on the right hand column of the home page with all of our up and coming training events, many which will also get featured in the blog. We are also planning a full day course: Composting Masterclass which at the moment is planned for March 1 st next year, if you are interested in this then please let us know. This will be based at Treflach farm near Oswestry, which is a 100 acre stock farm who are dedicated to finding organic solutions to their farm waste and input challenges and there will be a chance to find out about farm scale composting processes, the possibilities for heat recovery from compost and much more. 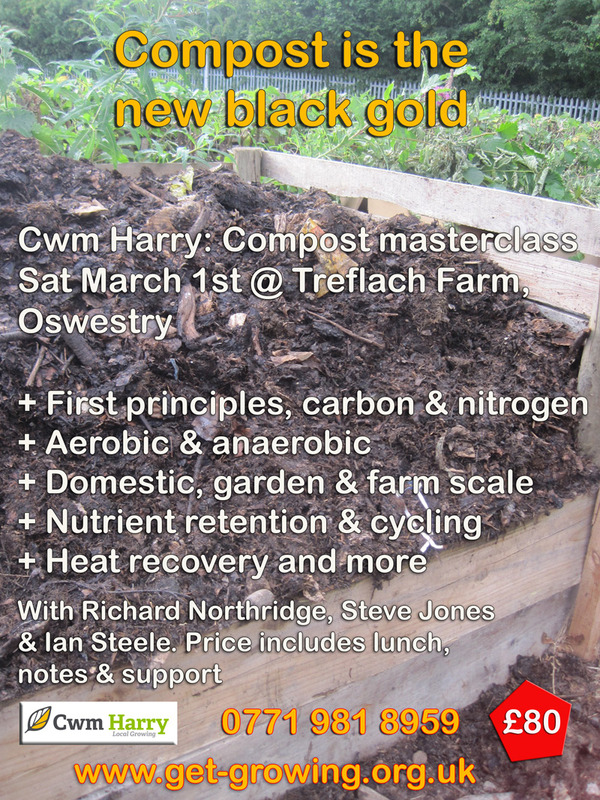 Of course compost is subject very close to Cwm Harry’s heart and Richard Northridge will also be contributing to this event, who developed Cwm Harry’s food waste composting systems in our work with Powys County Council. It has been an incredibly busy month for the whole Cwm Harry organisation, we managed to have a staff get together to discuss plans and strategies going forward. Since Cwm Harry ceased its food waste collection and composting services for Powys council we have been busy diversifying into other areas. We have launched Cultivate.. the new organisation which will manage the Get-Growing project, plant nursery and veg box business. 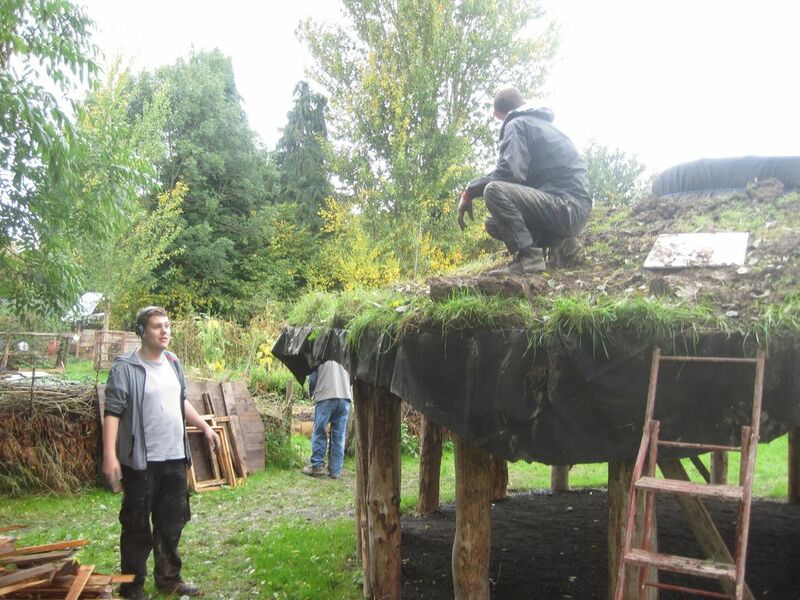 We are also merging with Sector39, the permaculture training partnership developed by Steve Jones over the last year and are now offering training drawing from right across Cwm Harry’s skills base, food, composting, affordable housing and much more. The Newtown community garden is developing past and it has been a great to see the roundhouse going back up, which was a focal point in the old garden on the Vastre trading estate. This will serve as a shelter for our community mico plot holders and we are planning a series of courses to complete the sides using a range of traditional techniques such as wattle and daub, rammed earth, hemp and lime and more. 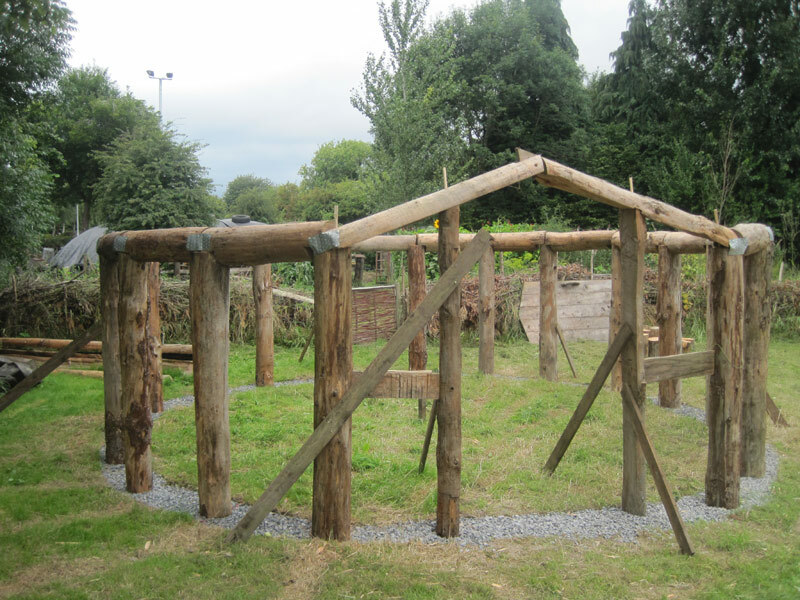 The community garden at Pen Dinas is now a year old. We spent a week of July last year running our first Community Garden Design course here to design the 2 1/2 acre space here. One year on and we are getting close to having all the main elements of that design in place. It is hugely exciting and gratifying to see it all coming into place. The potential for urban and sub-urban growing is absolutely huge. 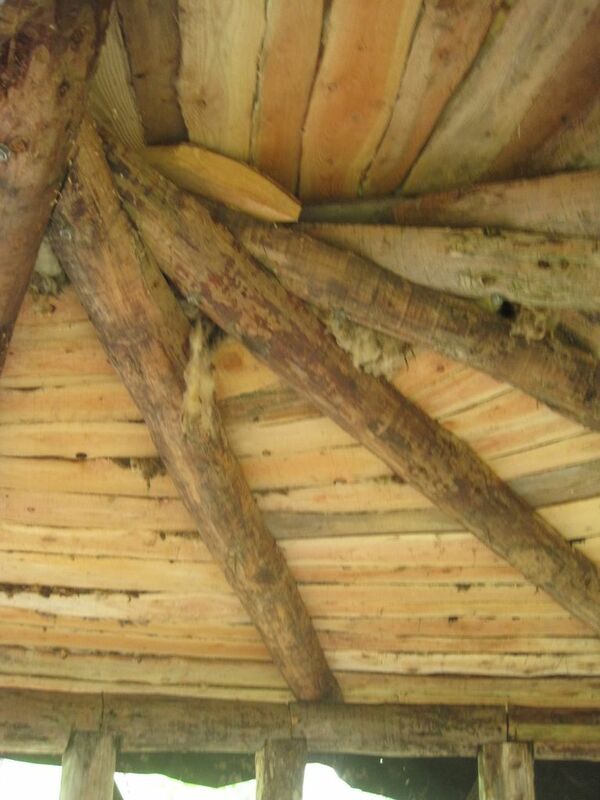 Organic techniques mean we are only really using what are currently considered waste materials and we are constructing highly productive and nature friendly environments in the process. And of course we have made lots of new friends… regular volunteers, students, apprentices, art classes and more. 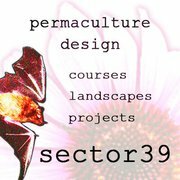 We want to invest in key project volunteers and participants by funding places on our up and coming Permaculture Design Course, in October. We have set the target of £2,000 to raise, over the next 4 weeks. Small donations and lots of them is what we are asking for! It’s a great new way we can spreads the benefit and learning from great projects like Get-Growing. Permaculture and urban growing is the fastest grass roots movement around the World, help us play a more active part in that process. 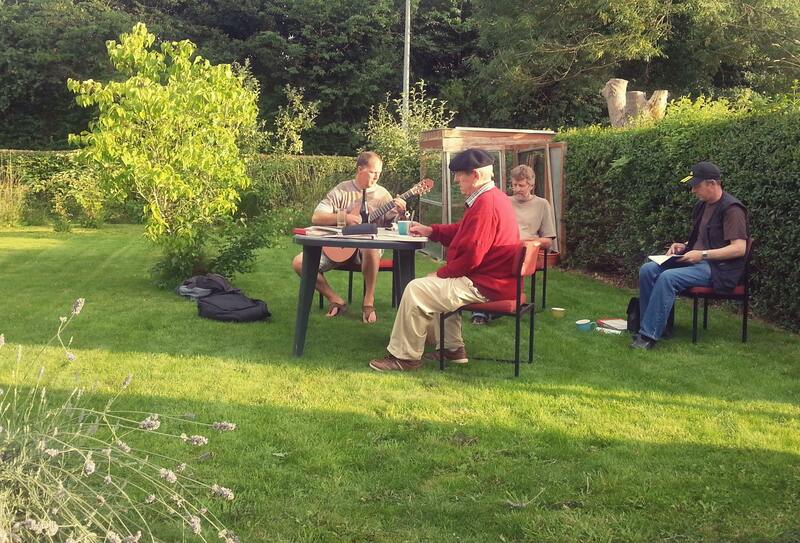 There is a regular art club group who meet on Wednesday’s to sketch and paint in the Pen Dinas garden. The tool shed is carefully placed where community gardeners and site crew can most easily access them, It s also in shady place that isnt much use for growing. 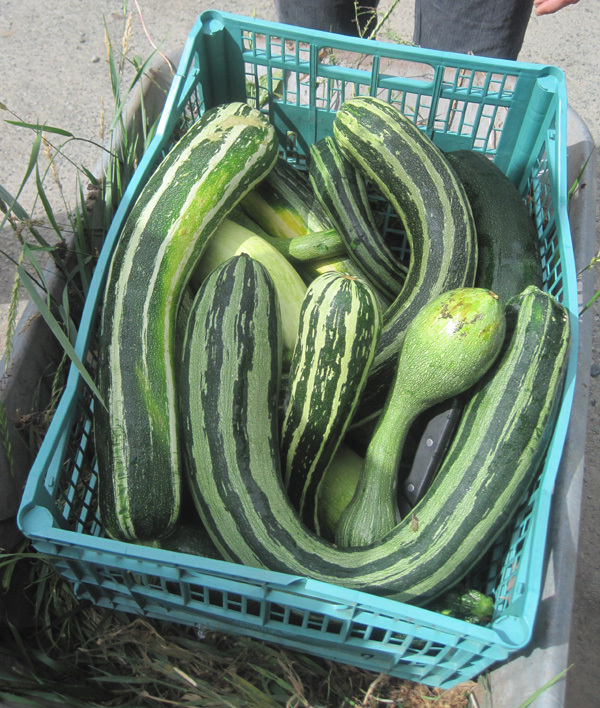 Some of the crop, the box was too heavy to lift! 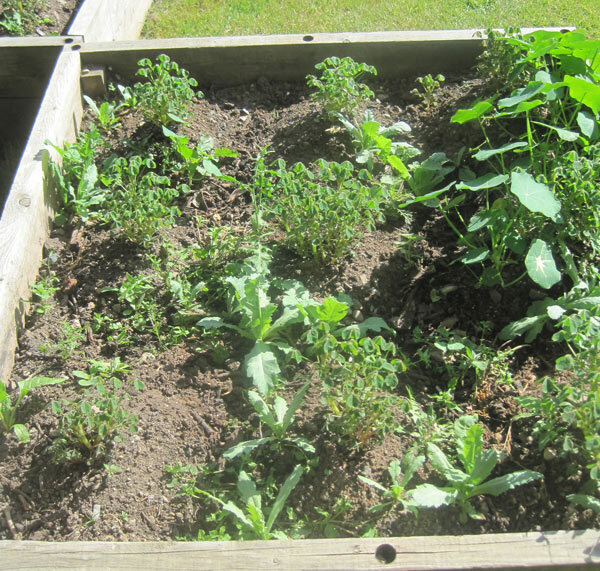 Some lovely brassicae plants growing in the community garden micro plots. 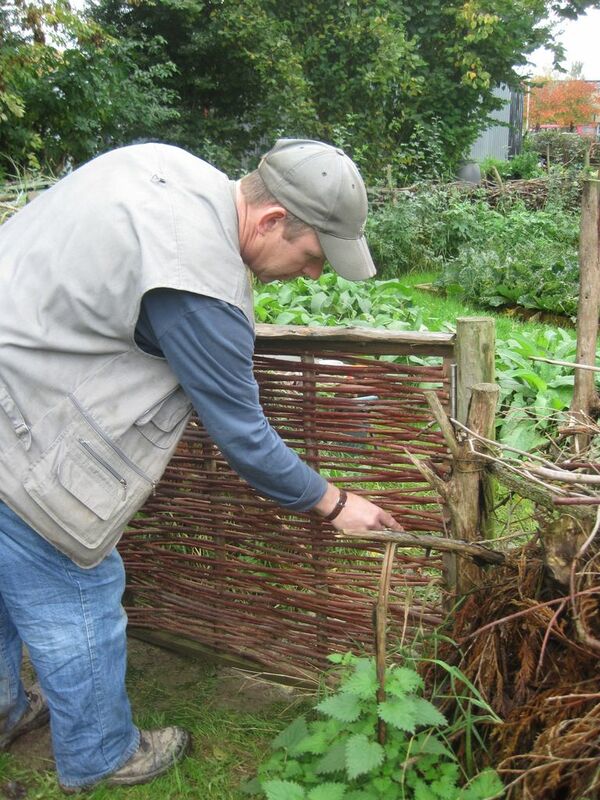 Permaculture principles number 2: Catch and Store Energy. Water is a vital energy! 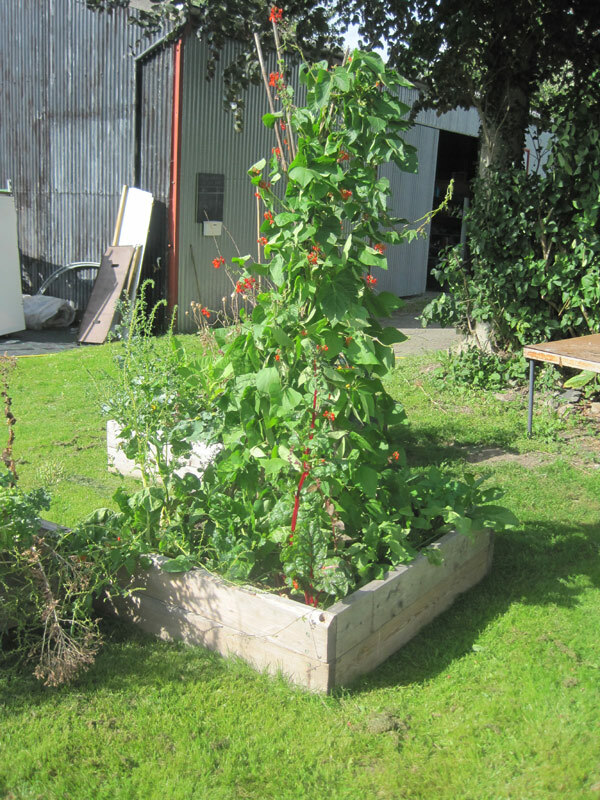 One of our own designed raised beds with a bean tower which we made on one of the crafts courses here. 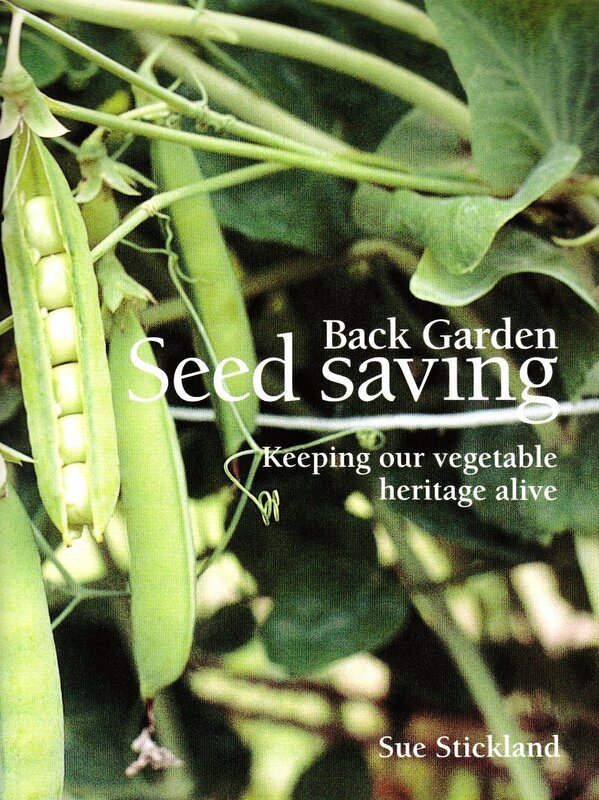 A regular contributor to the garden in Sue Stickland, who will be running day long workshop on Seedsaving next month, click image for details. 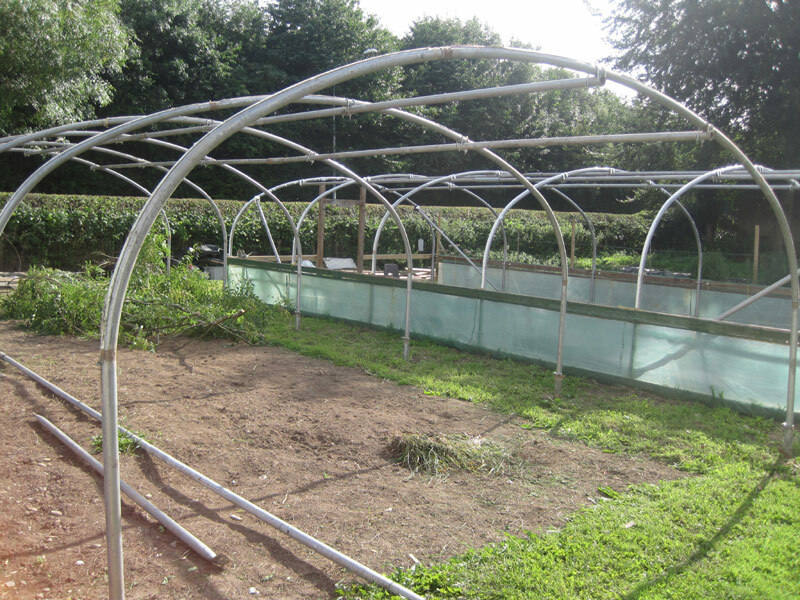 Finally the 2 polytunnels are going back up, Dave, Tom and Crew have been working hard on this.. 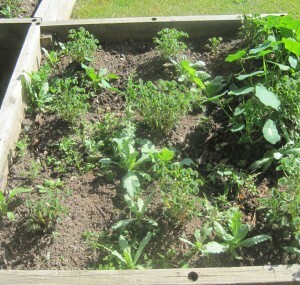 Some of the community micro plots… it never ceases to amaze me how much produce can come out of a small space. Catch and Store Energy # 3. 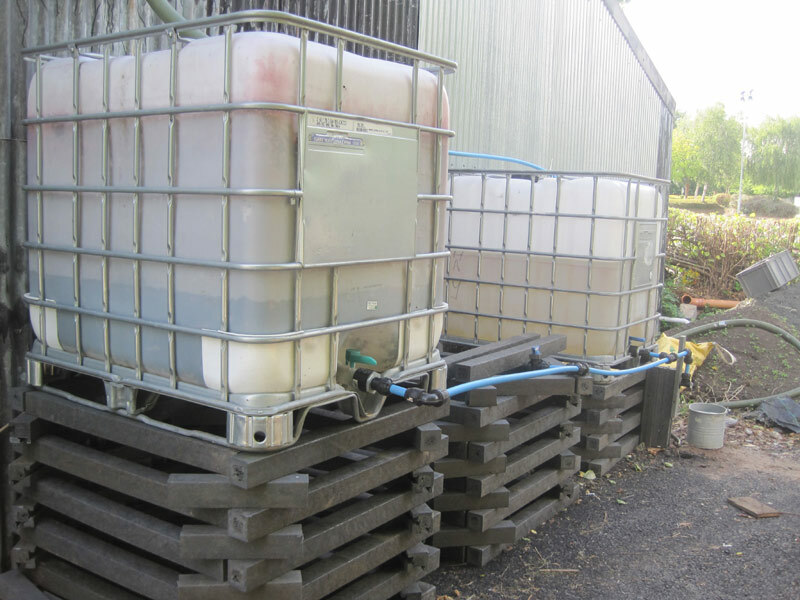 This is the water for the micro plots.. any excess will be channelled to the wetland area at the end of the garden. The frist stage of getting the Roundhouser back up is almost complete, thanks to all the hard work by Dave T and Colin. 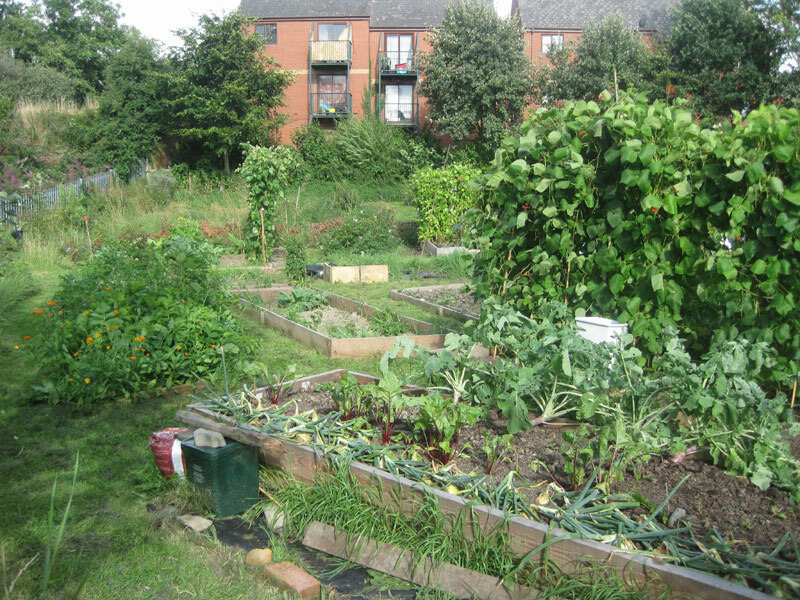 NHS Report on the imperatives and potentials of Urban Food Growing. Click to enlarge. Finally.. after a winter that felt like it had lasted all year we get some proper sunshine and spring can begin, albeit about a month late. It feels now like spring is happening all at once, as all the plants try and make the most of the opportunity now that the weather has turned. So it was great to see the Pont Hafren crew come over and enjoy the space and have a barbecue in the garden, this is after all what it is all about.. enjoying the space, being outside and bringing people together. Composting is something that is near to the heart of every gardener, or should be.. but for us it has even more importance as of course Cwm Harry made it name and established itself as an enterprise with its food waste composting business. We have set ourselves the challenge of utilising as much waste as we can from the College next door.. we are receiving their grass clippings are are now looking for a high carbon source of waste to balance with the high nitrogen grass clippings. Paper towels and disposable card coffee cups seem to be our best opportunity and we will be experimenting with those in different mixes with grass cuttings. 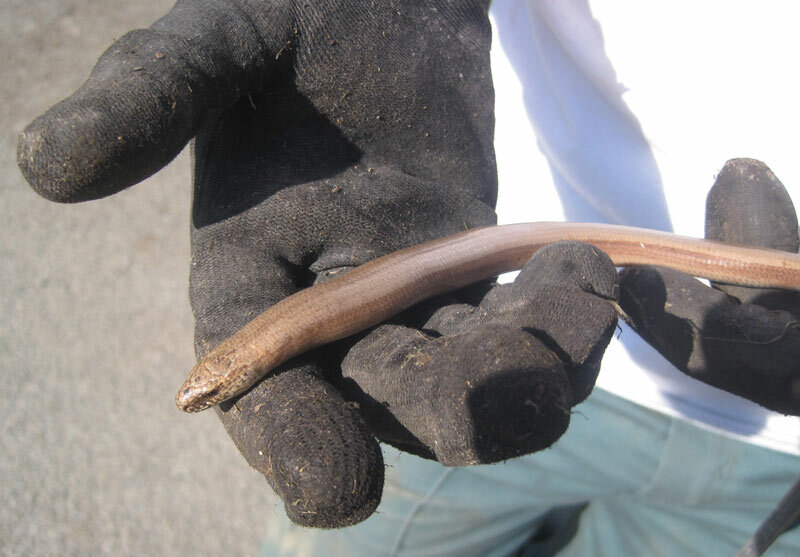 A visitor to our compost area, is this slow worm, who seems to love it in there. Plastic field (below) – I pass this field on the way to work in the morning..to my eye this seems so unlikely, unnatural and energy intensive. As I understand it the film is to help germinate maize.. it is not biodegradable, and at best is used twice if not only once and has to be removed again once the plants have reached a certain size. It has holes in it to let rain through and allows the seeds to germinate earlier and more quickly. In many ways it underlines the connection between agribusiness and oil and petro-chemicals. Modern farming is essentially a strategy to turn oil into food.. what with all the diesel powered machines, for ploughing and harrowing, for fertilizers and pesticides and their application, and of course the amount of plastic film now used as weed suppressant, for packaging haylage and silage as well as packing and distributing the resulting crops. This heavy reliance on oil in agriculture exposes us to price hikes and dangers from supply disruption and is one of the many reasons why we choose to grow organically here at Get-Growing. If you want to eat local and organic produce then the best way to do so is to join a local veg box scheme.. a strategy to get out affordable, seasonal quality veg in an area. Cwm Harry has supported the development of a local food company, currently Cwm Harry Food Co and about to be re-branded as Hafren Local Food. 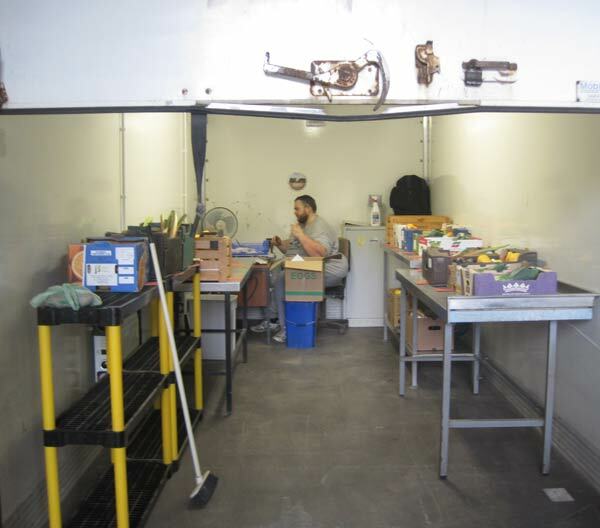 They have set up their veg packing operation in the one half of the shed at Pen Dinas and this is where we will be developing a local food hub over the coming years. All businesses have to start somewhere.. and we hope and expect this one to have a big and important future as a shift to a more localised food system seems inevitable development for the future. 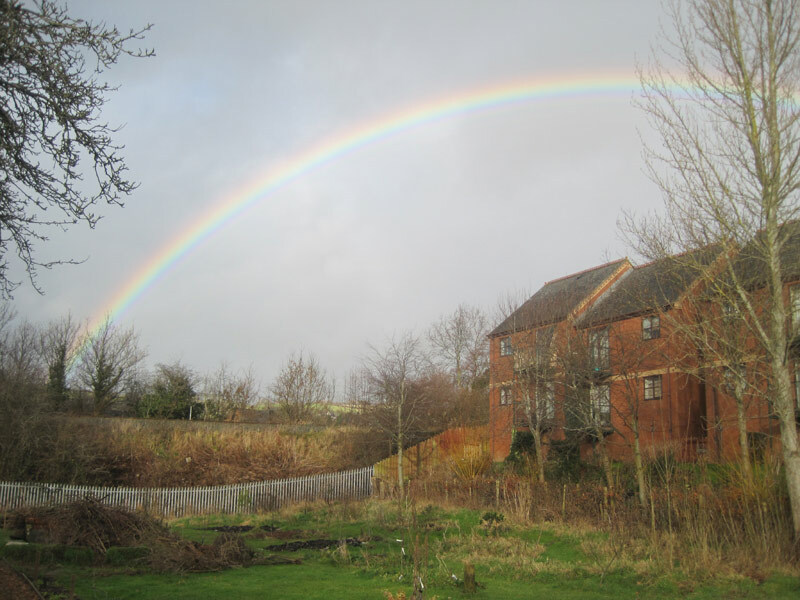 Emma Maxwell, lead horticulture trainer at Get-Growing also has her own 5 acre plot which, together with her family and a team of volunteers she is developing as Ash and Elm horticulture. 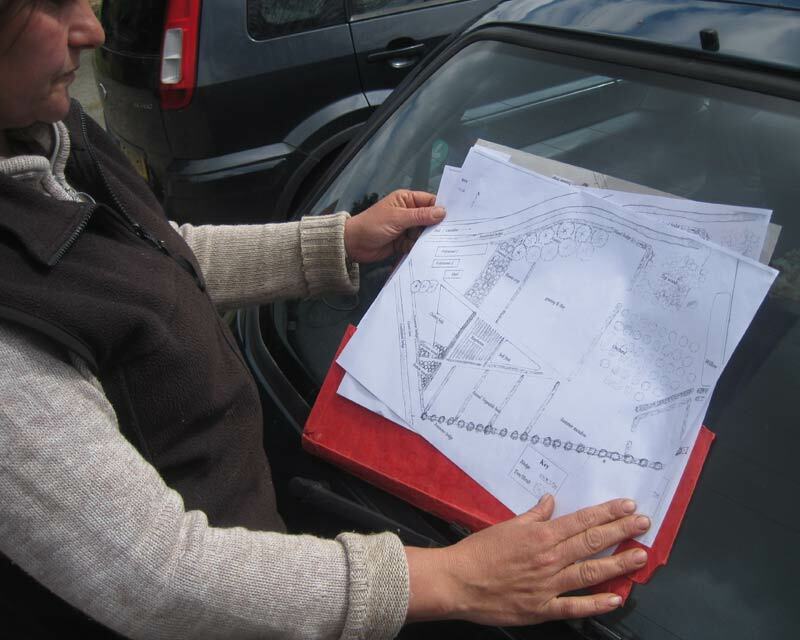 Here she is with a plan of the plot ready for submitting to the local planning department. Emma is pioneer of small scale organic growing and the plot she is developing, a diverse productive and nature friendly space is a template for upland small scale growers all over the UK. Ash and Elm horticulture are demonstrating many of the potentials of what can be done in this landscape beyond merely the sheep based monoculture that occupies most the uplands here in Wales. 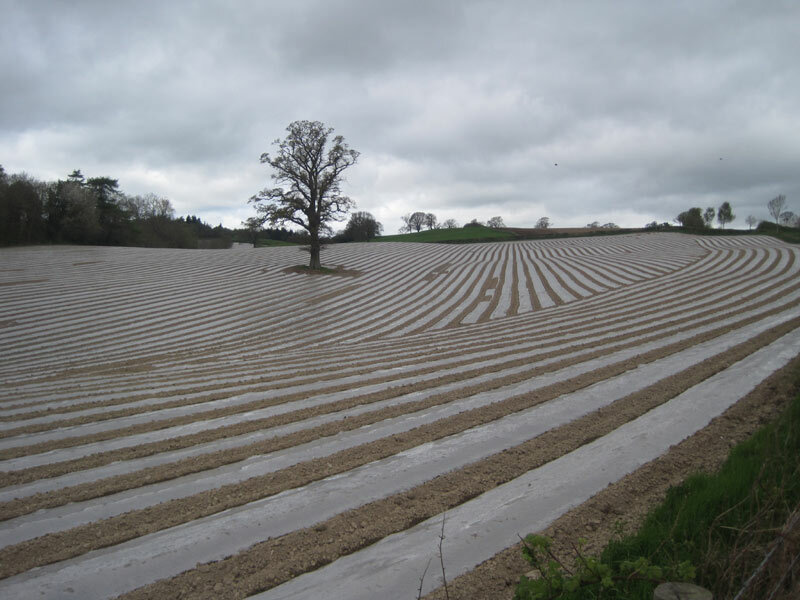 Planners seem nervous that diverse horticulture plots might change the look of the landscape whilst possibly failing to grasp that it is the presence of the sheep, maintaining a largely treeless landscape that is having the biggest impact on the land of all.